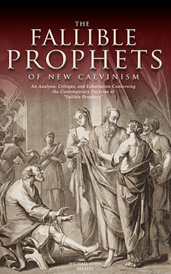 Today is the last day for amazon.com’s free offer of The Fallible Prophets of New Calvinism on the Kindle book format (link). 1. 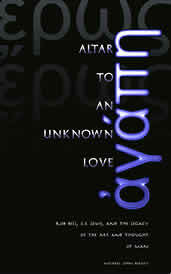 Chapter 1: Prophecy – A Test of Love: According to the proponents of fallible prophecy, the presence of error in a prophetic utterance does not make such claimants of the prophetic gift false prophets, it only means that they are New Testament fallible prophets by definition. This constitutes a complete reversal of meaning of prophecy which results in a confused message concerning the nature and character of the God who has consistently and effectually revealed Himself through His appointed messengers. Moreover, such a redaction of prophecy effectively confuses, and nearly eliminates, the scripturally prescribed tests for prophecy. The importance of this must not be underestimated, for all of the tests of prophecy, in the Old Testament and the New Testament, have an unimpeachable centerpiece: the love of God. 2. Chapter 2: Fallible prophecy – Lexical Considerations: Grudem argues that the New Testament connotation of the word prophet no longer possessed the sense of authority it once had. Thus, Christ did not call his disciples prophets because “…the Greek word prophetes (‘prophet’) at the time of the New Testament…did not have the sense ‘one who speaks God’s very words’.” In view of Grudem’s emphasis on this point, it will be very important for us to examine his lexical justification for such a conclusion. 3. Chapter 3: Fallible prophecy – The Case of Agabus: Grudem argues that genuine NT prophets could be resisted in view of their fallibility based upon texts like 1 Cor. 14:29. In support of this view, Grudem supplies examples of what he believes are NT fallible prophets, the most central of which is Agabus. Like Grudem, D.A. Carson insists that Agabus’ prophecy was fraught with error, saying, "I can think of no reported Old Testament prophet whose prophecies are so wrong on the details." This is a very serious accusation requiring a thorough investigation. 4. Chapter 4: Fallible prophecy – A Gift for All? 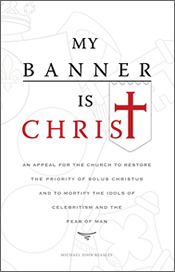 : Grudem argues that, unlike the unique gift of prophecy given in the time of the OT, the NT gift of prophecy was extremely common and functioned “in thousands of ordinary Christians in hundreds of local churches at the time of the New Testament.” He also argues that neither grave error nor immaturity should serve as a barrier to the pursuit and exercise of such a gift by nearly everyone within the local church. Such thinking is a tragedy for the body of Christ which is called to holiness and truth in all aspects of life and servitude. 5. 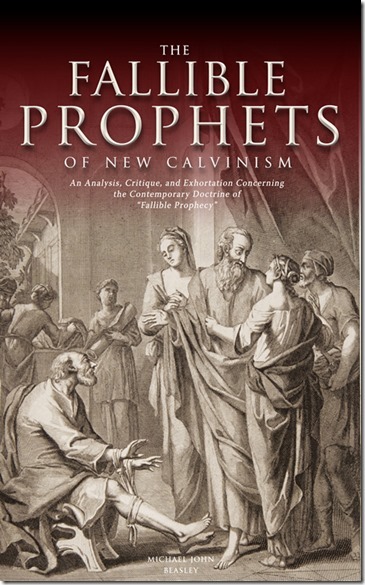 Conclusion: The Fallible Prophets of New Calvinism: Believing in the value and efficacy of fallible prophecy, a growing number of popular pastors and teachers are now openly promoting such teaching. 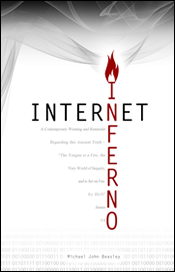 Particularly within the increasingly popular New Calvinism movement we find a growing number of advocates of fallible prophecy. To facilitate the spread of this doctrine, Grudem himself supplies a 6-point strategy for establishing fallible prophecy within the local church. This poses an increasing danger of the tolerance and proliferation of false prophets within the church.